Come out and support York Rotary’s Scholarship Fund at this fun, family friendly event. 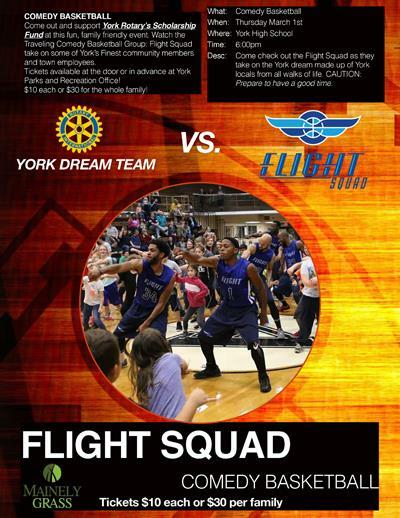 Watch the Traveling Comedy Basketball Group: Flight Squad take on some of York’s Finest community members and town employees. Tickets available at the door or in advance at York Parks and Recreation Office! $10 each or $30 for the whole family!